and the benefits of using hot and cold massage stones together! Geothermal therapy incorporates hot stone massage therapy with of cold stones, and provides benefits for the client who has multiple muscle pain issues. Geo, meaning Earth/Stone (geology), and thermal meaning temperature (thermometer), defines Geothermal stone therapy as treatment with stones and temperatures. Although hot stone massage therapy is one of the most popular types of massage given in spas or private practice sessions, cold stones are being used more frequently as their benefits are studied and reported to massage industry educators. Geothermal therapy provides intense relaxation of muscles with hot stones, but can also provide healing of muscles that are highly inflamed from injury, stress, or medical procedures. Therapists will often use the cool stones either at the end of the session, allowing rest and relaxation with hot stones through the majority of the therapy, or at the beginning, allowing warmth of hot stones for the remainder of the session. One reason that therapists like using both types of stones is because muscle's react positively to them. Hot stone massage therapy relaxes the muscles and helps to prepare for healing. The cold stones make tight muscles relax and help them release like ice melting. Deep tissue work and digging into muscles is greatly decreased, and the time which it takes to release stubborn knots is also decreased, allowing the therapist more time to get to address stubborn knots and make greater progress during sessions. Stones provide so much more than just physical comfort for your client. Placing warm belly stones and hand stones and tucking stones around your client helps them to feel safe and anchored. When someone comes in for a massage, they are in a vulnerable position anyway. The stones help them to feel more secure and protected (and help to make the draping feel more secure, as well. Warm stones placed on and around the body help your client to stay relaxed during the session, even when you are working a little deeper trying to relieve their tight spots. Offering therapeutic temperatures to clients with stones is a delicate dance between oil, temperature, pressure and speed. Each client and each part of the body is different in what temperatures are comfortable. Learn more about the wonderful benefits of deep tissue with massage stones, and how to use specific basalt stone sets in massage, making it easier on you and your client. This DVD, Hot And Cold Full Body Stone Massage DVD teaches how to use hot and cold stones safely in the same massage therapy session, as well as what medical problems could benefits from hot and cold stones together. 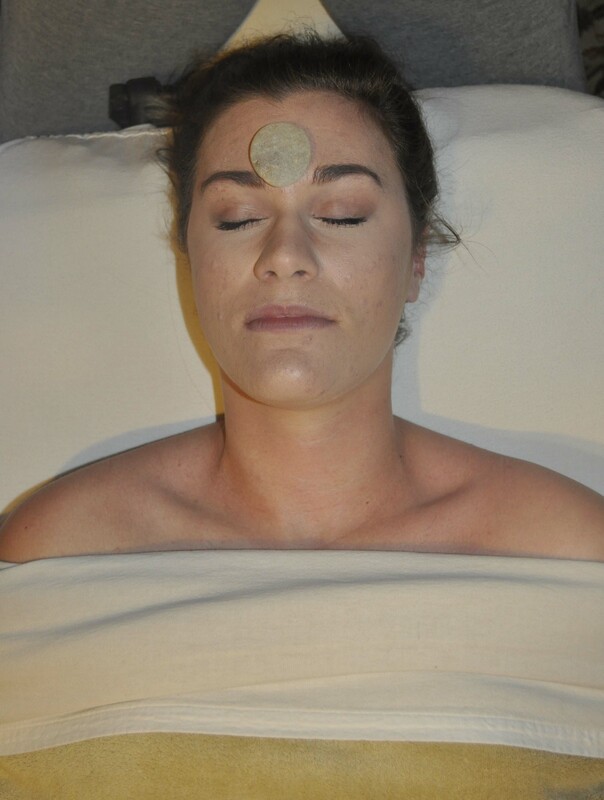 You might be interested in learning about how cool stone facial massage can help you and your clients relax and provide natural relief from facial swelling, puffiness, and headaches. It is extremely important to have a thorough understanding of this therapy before offering it to your clients. Because of the different therapeutic temperatures being applied in the session, there are some unique benefits in offering geothermal therapy from regular massage without stones. Read more about the benefits of Geothermal Therapy at Simply Magical Massage.